These are entries where I can brag about my awards and acknowledgments. Congratulations on getting 200 total likes on Shirah Vollmer MD. 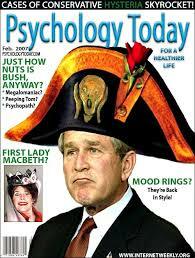 Psychology Today has “retired” me. No reason was given. Sigh! Betrayal is popular. Who knew? Cats Better Than Cholesterol Meds in Preventing Heart Disease! by April Lane Benson, Ph.D.
by Edward A. Selby, M.S. Why does Meryl Streep inspire middle-aged women? 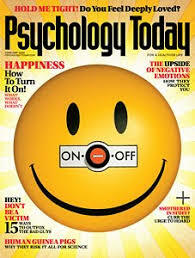 We wanted to let you know that you have been quoted on psychologytoday.com. I fully support the Los Angeles Gang Tours. As a psychiatrist, I know that the more people can relate to how the gang members feel, the more likely it is that there will be financial and thoughtful intervention. Learning the history that the policy of housing covenants caused ethnic ghettos which led to the formation of gangs is very important. Knowing that the past influences the present, a psychoanalytic tenet, helps us move forward. Go Alfred Lomas! Expose the problems. Inspire change. Now, take a look at the published letter. The more people can relate to how the gang members feel, the more likely it is that there will be financial and thoughtful intervention. Learning that the policy of housing covenants led to the formation of gangs is very important. Knowing that the past influences the present helps us move forward.